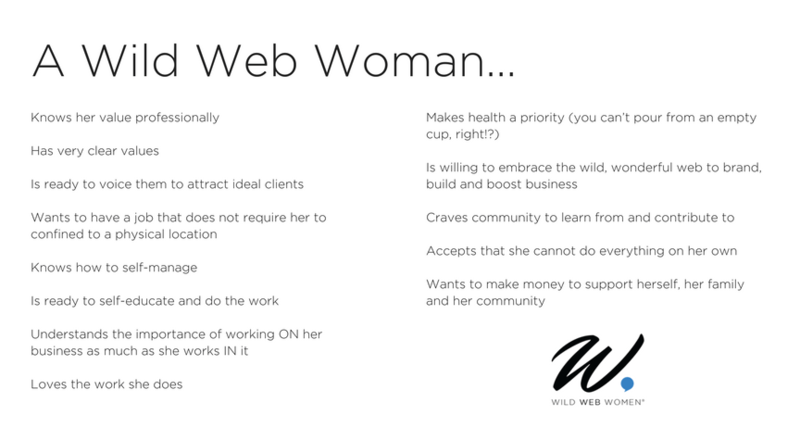 A Wild Web Woman lives a happy, healthy lifestyle while running a primarily web based business. This month’s featured Wild Web Woman is Andrea Goulet, co-founder and CEO of Corgibytes, a company that remodels software for clients so it’s more modular, flexible, and responsive to business needs. Instead of re-writing code to design a new website, Andrea’s company takes old code and remodels it – saving the client time and money. Andrea is also a working mom and can speak to how to balance that with a fulfilling career. 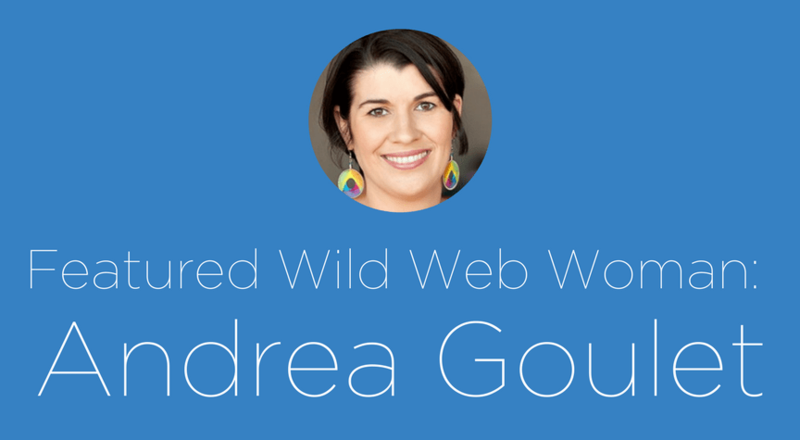 Meet Wild Web Woman Andrea Goulet! What inspired you to launch your web-based business? My co-founder, Scott, and I went to high school together and re-connected during our 10-year reunion. Scott had built the company but he was an engineer and needed help marketing it and bringing in clients. I knew nothing about coding and had never built software before, but I got along with Scott really well….so well that we got married two years later and now have two kids. It’s been a fun adventure. How has your previous employment experience aided you professionally? My past experience is in branding, marketing and writing. When I got into the software world and started learning to code, I realized that many reasons why software projects were not getting done wasn’t because people were incompetent, it was because they were not communicating well. I was able to take my experience in communications and dive deep to what helps engineers learn to communicate. So now I teach engineers how to use communication styles like metaphors to explain complex and abstract concepts to business people. I also help those who come from my old areas to get the confidence and resources needed to learn to code. My passion is getting people to communicate well to rid the world of corporate babble. Do you weave your values into your business? How? My values are everything. We have five core values on the website and these are things that I have had to learn as I transitioned into software. “Act with empathy”—we need to always think of other people and ourselves. This is not taught in software, we are taught to burn ourselves out. “Adopt a growth mindset”—I had a fixed mindset when I started learning to code, but adopting a growth mindset will help you realize that you need grit and will help you learn. “Craftsmanship and context”—make sure you are solving the right problem. There are a thousand different ways to solve something and understanding the problem will help you find the best solution. “Calm the chaos”—make sure we make the best decision and that we are operating from a place of calm and clarity. Adrenaline is the enemy when we are working on difficult problems. “Communication is just as important as code”—when I was working with Scott as an engineer, he would only think of coding as keyboard time. Coding is any time you are writing, reading, or talking about code; there are a lot of activities that can go into this. How do you maintain your health? This is a struggle for me and something I am constantly working on. I have to make sure that I am eating healthy and creating a strong framework for myself. My family eats a paleo diet, we go to the gym and that has made such a difference for me. I learned to make it a priority and recognize that I need to take care of myself. It is so hard as a woman because we are programmed to put everyone else before ourselves. It has taken a lot of deprogramming to really adopt this philosophy and really believe that if I don’t take care of myself, I am putting everything at risk. I am putting my family at risk, my business at risk because if I get sick, I can’t operate at my best. What three web tools can you not live without? Google Apps, Todoist, and Slack for sure. Those are my trifecta of how I get stuff done. Do you have any personal “wild web” role models? If so, who? Sheryl Sandberg! I love the work she is doing over at Facebook, especially about maternal bias and implementing parental lead; I think she really leading the charge. The first time I read Lean In I was so angry and I hated it. The second time I read it, it sunk in because I recognized that I wasn’t delegating the domestic activities and wasn’t asking for help. I was expecting myself to do too much at home and I wasn’t letting the little things go so that I could be more influential in my role as a CEO. Poornima Vijayashanker is another role model—she runs Femgineer and was the founding engineer at mint.com. I have taken several of her classes and I have worked with her professionally as a coach. Sarah Walton, who runs the company Better Way Moms, is another one. I love her and I have worked with her before. She is really focused on creating opportunities for women and saying there has to be a better way to be a modern mother. These three people have helped me realize that it is not about balance, it is about integration. It is about being creative and taking control of my own life, whether that is about learning how to code or bringing my kids along on a road trip. What is the most important lesson you’ve learned in your career to date? If you want to build a truly successful business, you need to find what everyone needs, but no one wants to do. You cannot build a business unless you have product-market-fit. How do you maintain a work/life balance? My job requires a lot of travel and I was starting to miss my kids. I noticed that I was speaking at two conferences in one week: one in Philly and one in Boston. Normally, I’d fly to Philly, fly home for a day and a half, fly to Boston, and come home during the weekend. I decided to get creative and had the two conferences split the cost of renting an RV for a week. This was about the same for them as a flight and hotel, but it means that I can bring my family with me and we can have a vacation out of it, too. I’m known for bringing my kids to conferences, too. The first time I did this my daughter was ten weeks old and I gave a lightning talk about maternal bias while wearing her. A member of the organizing committee thanked me for bringing an important topic up. No one on the committee had kids and the next year, they got a child care sponsor so people could bring their children with them. Business-wise, where do you see yourself in ten years? Kind of doing more of the same. Where’s your favorite place to work from? I like working on the train. I am most productive on a train. It is not as squished as a plane and I am focused and uninterrupted. How do you make your home a productive space to work? I have a home office. I really set it up so it has a second monitor and my bookshelf behind me so I don’t have to worry about it looking cluttered when on webcam. I have a fuser so that I spell something really nice to be productive—aromatherapy has been really helpful. Name a few products that you absolutely cannot work without or love having around you? 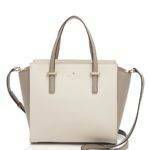 I really love my Kate Spade purse. It really feels like that briefcase—I have three different ones and they are all super classic. I feel really polished and really put together when I have one. I was that kind of that person who would buy purses at Target four or five times a year and then I realized I spent just as much on purses buying the cheap things and having to replace them. So now I have three purses and I love them. What’s the main reason that your web-based work lifestyle is so rewarding? I love being able to create my dream job! I don’t have to worry about selling my ideas up through layers of management. If I think something is a good idea (like bringing my baby to a conference) I can just go for it. This has helped me build a diverse team of folks (including all my staff, clients, and vendors) that I absolutely love working with every day. Andrea, thank you for much for sharing your web-based business wisdom with us! You are definitely a Wild Web Woman! Be sure to check out Andrea’s wonderful web-based business at corgibytes.com or follow her on Twitter or LinkedIn! If you are a Wild Web Woman or would like to suggest a wonderful woman with a web-based business to be featured and shared to inspire other women with web-based businesses, please contact us! ← Make Your Small Business BIG with the Web!